Type II water is routinely used for general lab use, feed water to analyzers, pre-treatment for Type I systems, and to wash and rinse glassware either manually or in the final rinse cycle of an automatic glassware washer. 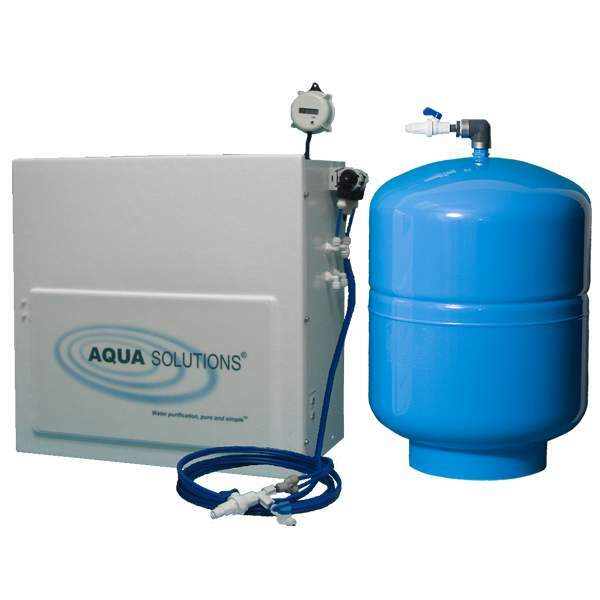 AQUA SOLUTIONS Type II reagent grade RODI Systems produce 2-15 megohm-cm DI water that meets or exceeds ASTM, CAP and CLSI standards for Type II water. I would like to request a quote for All Type II RO+DI Systems.